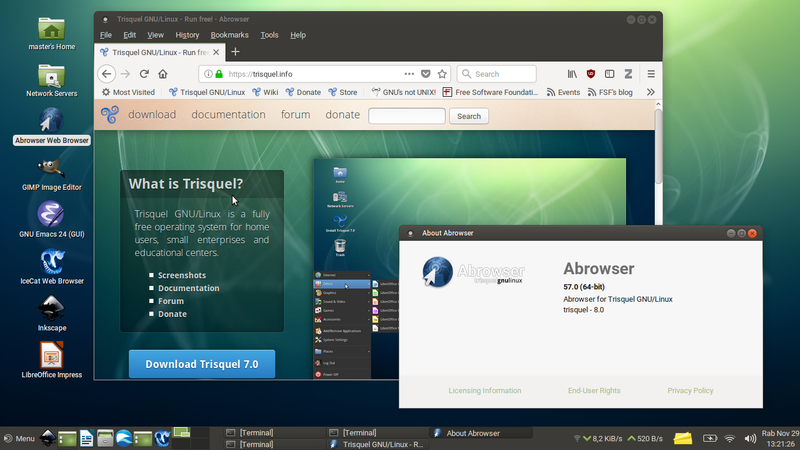 Recently (23 November 2017) Abrowser 57 has been arrived at Trisquel 8 repository. 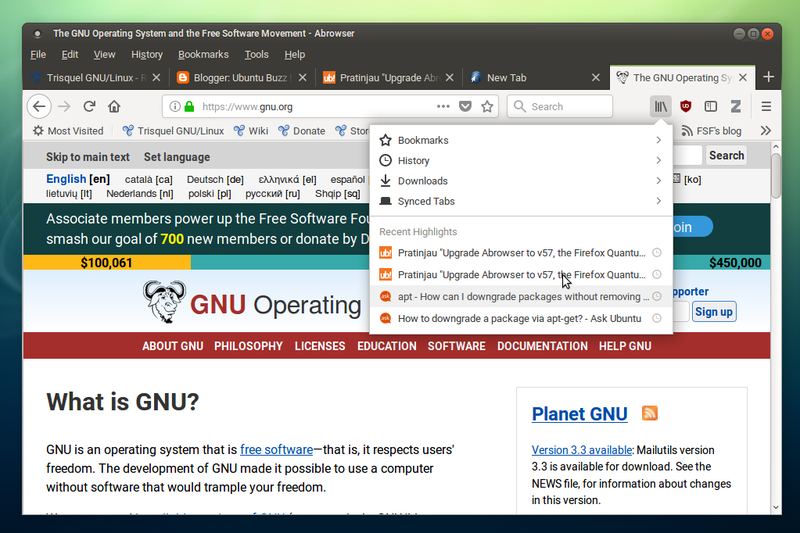 Abrowser 57 is a modification of Firefox Quantum for Trisquel users. 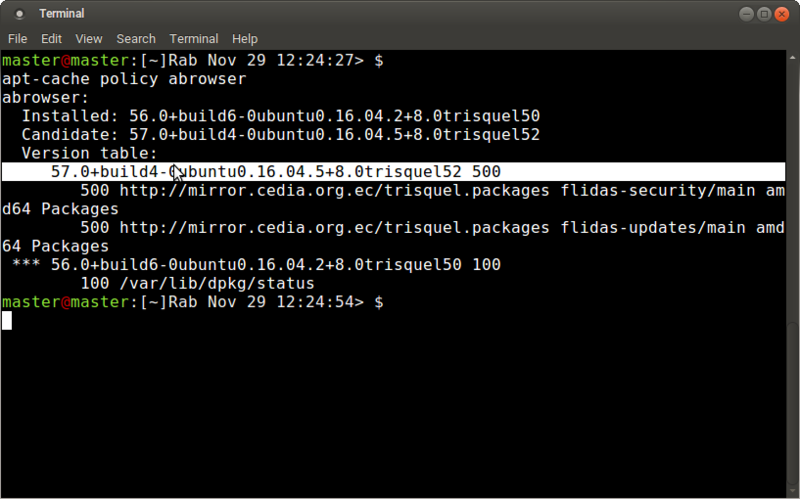 This article explains step by step to upgrade Abrowser on Trisquel 8 "Flidas". If, after upgrading to v57 you dislike it, you can downgrade Abrowser back to v56 with downgrade section below. Enjoy! 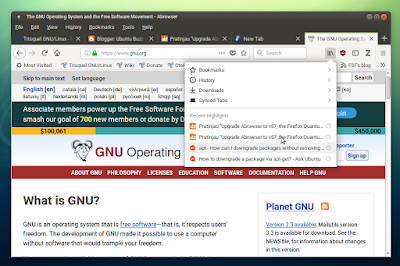 Firefox Quantum (version 57) is not compatible anymore with many of previous versions' (v56 backwards) addons. Today (29 November 2017) I can confirm --for example-- DownThemAll! addon is not working. So please consider it by testing Abrowser v57 on LiveCD before upgrading. 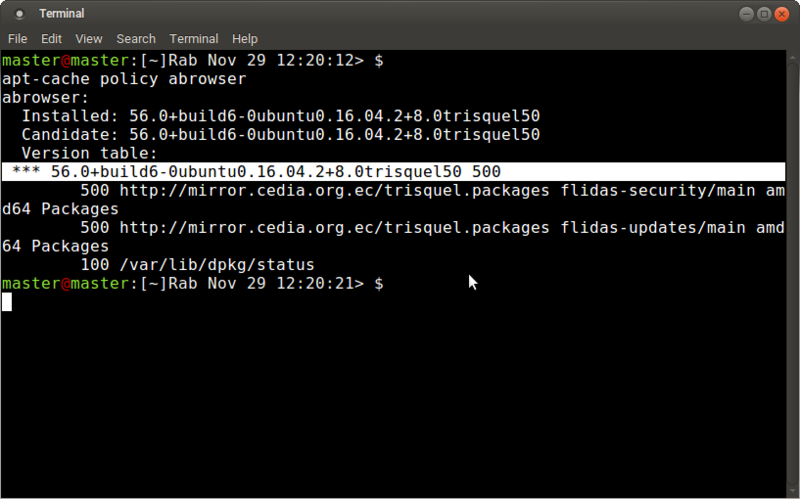 If your system "repo map" is old, then, you don't see version 57 there. The '***' is the sign of installed version. If that so, you need to Reload the repo map. Now, you should see version 57 there. 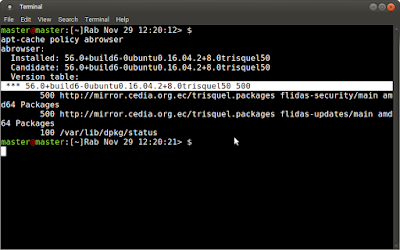 That means the newest version available for your Trisquel 8. See the v57 is now atop of '***' sign, meaning, there is a new version for Abrowser. That command will upgrade your Abrowser to v57. You will lost the previously installed version. Run Abrowser from desktop menu. Done! If you dislike v57, you can remove it and install back the old v56 from Trisquel 7 "Belenos" repo.